2. Mix well pinch of baking powder and salt with plain white flour and make a well to pour water little by little to make hard dough then to make wrapper for stuffing. 3. Divide the dough in small pieces and roll to make small wrapper for stuffing marinated munched chicken. 5. Boil the water for steaming momo container with chicken stock, chicken bones and preferred vegetables like cabbage, carrots, pak choy, and green peas to make a soup to eat with momos. 6. 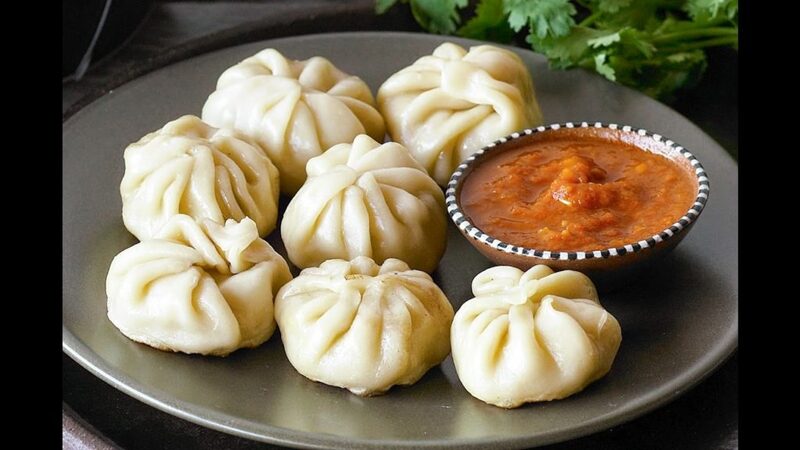 Brush each momo steam container with oil before placing the momos. 7. 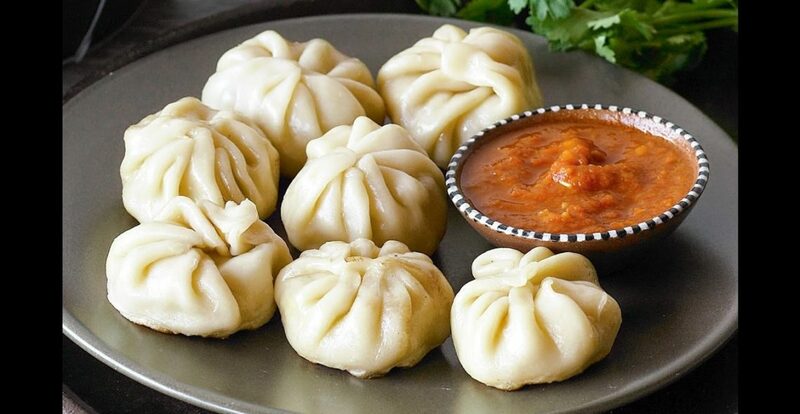 Place each momos in the steam container half inch apart from each other and steam 20-25 minutes. 8. Serve hot with Thukpa (Soup) and momo achaar.